Mr. Adil Zainulbhai is a mechanical Engineer from the 1977 batch of IIT-Bombay and a post-graduate from Harvard Business School. He is currently President of HBS's alumni association in India. He retired from McKinsey India as its chairman after 34 years with the legendary consulting firm, 24 of which were in the US. Zainulbhai joined McKinsey in 1979 straight out of HBS; he set up the Minneapolis, Minnesota, office and later led the McKinsey office in the US capital of Washington D.C., helping clients across sectors as diverse as telecommunications, consumer electronics, energy, banking, infrastructure, and healthcare. He counsels the CEOs of many of India's largest companies in a range of industries, including infrastructure, metals and mining, financial services, and pharmaceuticals - and he has helped several such companies become global leaders. 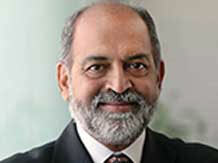 He has also helped leading multinational companies build large, profitable businesses in India. He is also passionate about strengthening India's public sector and contributing to the nation's development. He works closely with senior government leaders to drive growth and raise living standards, strengthen key sectors of the economy, and improve education, health, and welfare. He has also helped several public-sector projects improve their efficiency and effectiveness. In both his private and public-sector work, he develops long-term partnerships with his clients to deliver results and create true impact, while helping to build people's capabilities. He is deeply committed to developing leaders, both at client organisations and at McKinsey. He strives to ensure that we attract the best people from the best schools and provide them with an unrivalled learning experience. He speaks regularly at key Indian and global forums, including those of the Confederation of Indian Industry (CII), the Federation of Indian Chambers of Commerce and Industry, the National Association of Software and Services Companies (NASSCOM), and the World Economic Forum. He serves on the boards of numerous nonprofit organisations, including the American India Foundation, the CII National Council, Saifee Hospital, and Saifee Burhani Upliftment Trust, which is redeveloping Mumbai's Bhendi Bazaar. He serves on the advisory boards of the Indian Institute of Technology Bombay, the Wockhardt Foundation, and the Health Management Research Institute, as well as on the global advisory board of the Booth School of Business at the University of Chicago. He is president of the Harvard Business School Alumni Association, India.